What Would Mike Do? 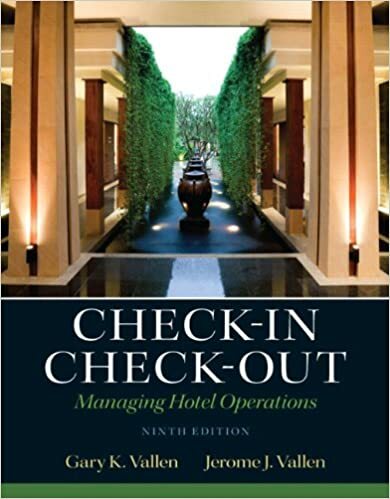 : The hotel blog: What book should I read to learn about hotel management? What book should I read to learn about hotel management? Hopefully, more than one book. No single person, not even I, knows enough about it to tell you everything you'd want to know. It's like asking what book you'd read to become a good automobile mechanic. Or what book would you read to beat the stock market (I picked up one a few months back about just how impossible it is to do that, or for anyone in government to regulate it without doing more harm than good, for that matter, because while everyone has little bits and pieces of information and understanding of it, no one knows enough about the whole of it to do it successfully: The Myth of the Rational Market: A History of Risk, Reward, and Delusion on Wall Street: Justin Fox: 9780060599034: Amazon.com: Books ). And if hotel management is something you want to get in to, you'll want to be the kind of guy who'll add something, make a contribution, of your own if you're going to build something that'll stand out from the general lot of them - otherwise, at best, you can hope to be just another guy running just another Hampton Inn. You'll also want to be the kind of person who'll walk around, see things, watch things, read through printouts of numbers that most other people would consider quite dry and boring, ask questions (and over time learn to ask the right questions), and make best possible use of the answers. Believe it or not, watching Hotel Impossible on The Travel Channel (http://www.travelchannel.com/tv-... ), and learning to make like Anthony Melchiorri, can help here. I'm a fan of the show, and I'm not ashamed even to admit that I learn things from it. And then, find a copy of that same text, from back in the '70's (Check In - Check Out - Principles of Effective Front Office Management: Jerome J. Vallen: Amazon.com: Books - and that's not the original: the original edition came out in 1974), and get a copy of that, if you can get it at a decent price. They really are that different: they read like two different books, the more current edition being the sequel. But the original is 'dated' not because the knowledge is obsolete (obviously, you can tell by the prices, these earlier editions are collectibles - supply and demand, you know), but the way it is nowadays applied is obsolete. Today, you have a computer at the front desk to crunch all of the numbers for you, but you do want an understanding of the underlying math. Those books will tell you how to take it apart and put it together (and along the way, hopefully, make it better than before - that part has to come from you). They won't tell you everything you need to know about creating a pleasant environment for your guests, or managing human resources: you'll need other sources of information. They won't tell you a lot about managing food and beverage: that's an entirely different field. They won't tell you a lot about how to manage housekeeping, or building maintenance and engineering: those are separate - but essential - disciplines in themselves. They'll tell you very little about sales and marketing, but you'd better find something that works for you, because that, too, is an essential function (Michael Forrest Jones' answer to What does it take to start a hotel? ). They'll get you started, and give you some idea where you need to go next. But you've got lots of places to go and lots of stops to make (Michael Forrest Jones' answer to How do you get into hotel management? ). That's why I feel your first focus should be on fundamentals, how to take it apart and reassemble it . . .
Years ago, I had a friend who was into photography. I noted the complexity of his equipment, all the settings and stops on his cameras, and asked him if he could teach it to me. He told me, he could and he couldn't. "I can show you what the different settings on the camera do, I can show you how to get the lighting right, things like that. But how you use it and what you do with it is strictly up to you. I can't make you a photographer. You pick your subject matter, and you make the choices about how best to present it, and you choose how to use what you have to bring about what you have in mind." There's a lot of technology involved, but the same would apply to any other technology-heavy art - including managing hotels.